CHANGE OF DATE IN APRIL WORKSHOP AND TWO SPACES ARE OPEN NOW! Register and purchase here. "I recently spent two days at Sam's "Paint With Me" workshop. Two days gave me time to feel at ease with my painting. It was a rich experience to be with Sam and the other artists. We had a chance to share stories, ask questions and then be part of the conversations that followed. It was satisfying to engage in the painting process and see all the emerging images created by three other artists. to get an idea of what a Paint With Me session with Sam is like. 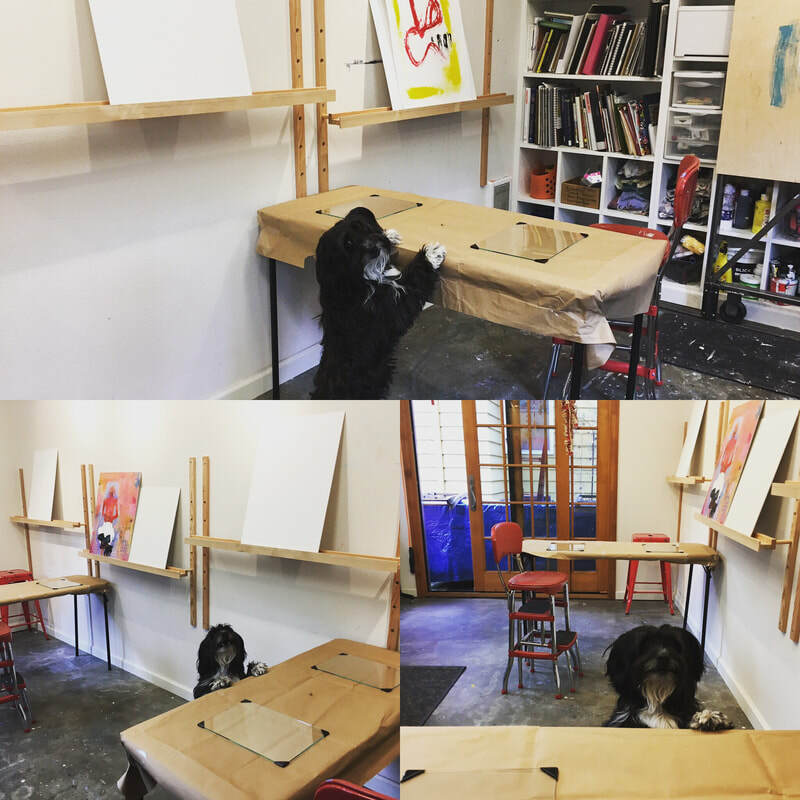 A Two-day Paint With Me workshop - a new way of seeing! I will provide all the materials needed. Learn to use the intuitive process that I use to make your own imaginative, narrative paintings in a safe and fun environment. No painting experience is needed. Workshop takes place in my newly updated studio with new workstations and is limited to four participants. Contact me if you have questions. Cancel at least 30 days before the workshop: Receive refund minus $50 cancellation fee. I'll make every effort to fill the spot, but if I'm not able to, no refund. No show - no refund. 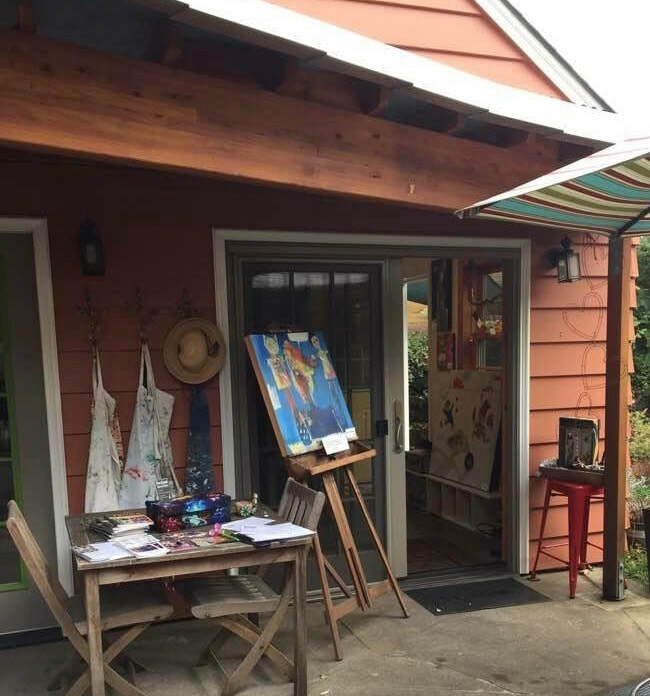 Join me for a two-day workshop in the wonderful little north coast town of Manzanita! The weather ought to be incredible then! Details will be up on their website soon...! ​"Connect To The Creator Within"
My art has a deeply spiritual foundation that I don't really go into with much detail in my regular workshops. This is an opportunity to explore my painting process as a spiritual practice of inquiry, contemplation, and listening. A powerful and playful day of Reiki, Mediation and Intuitive painting. All you need is an open heart and mind. You can leave your inner critic at home. Join me and Intuitive Therapist, Val Heart, as we dive into the expansive waters of our creative self. No painting or reiki experience needed. All art supplies, lunch and snacks provided. An email with the address will be sent to you after registration.